The main objective of the gathering was to build synergies among the diaspora of Peruvian professionals in Switzerland. 35 Peruvian professionals connected, exchanged ideas and experiences among compatriots. 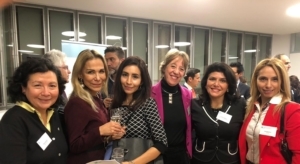 The meeting was also attended by Corinne Schirmer, General Manager of the Swiss Chamber of Commerce in Peru, Minister Luz Caballero of the Embassy of Peru in Switzerland and Consul General Germán Vera of the Consulate General of Peru in Zurich.